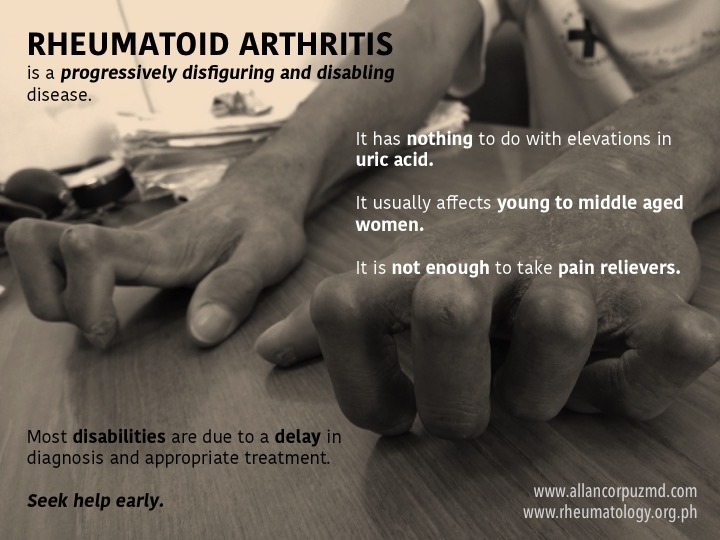 It takes an average of 5 years before patients with Rheumatoid Arthritis become diagnosed with the disease. By this time, they have contracted significant disability or disfigurement. Most patients are mistaken to have gout or osteoarthrits and are given medications which take away the pain temporarily but don’t prevent progression of disease. Early treatment can provide remission and significantly improve quality of life.